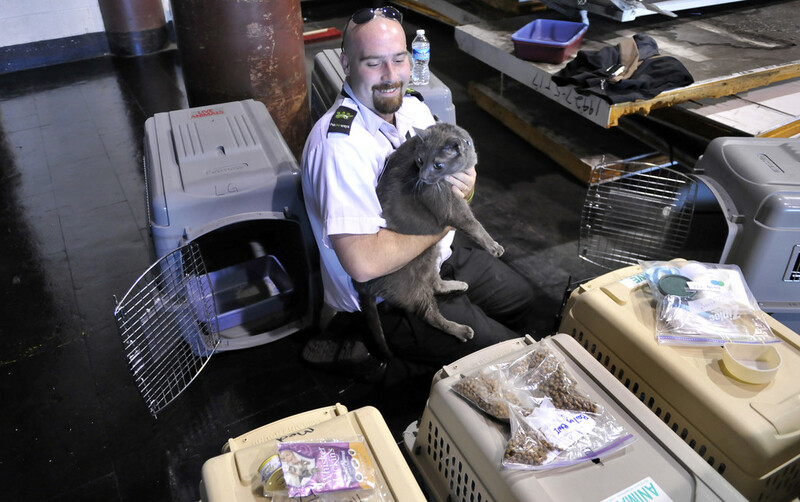 Transporting your cat to a different country can be a daunting experience. The worry and concern for your cat’s wellbeing, during travel, can be enough to make any cat owner re-think their plans when they are relocating abroad. Some re-home their cat if they know of friends of family who would take good care of them but the majority of owners want their cat with them. They feel no one could give them the love and care that they themselves give and more importantly what their cat is accustomed too. To put this into perspective.. I am a Brit but relocated to Florida seven years ago. I couldn’t bear to leave my cat behind. I was terrified for her to travel on a plane, especially as she was 16 years old at the time. But I was more afraid of leaving her behind and nobody would want her because of her age. So we took the chance and flew her over to Tampa. Ironically, her flight cost more than mine …. lol. I was so relieved when I picked her up and so glad to still have my beloved cat to continue life with. Unfortunately, she had to be put to sleep a few years ago as she was extremely sick with cancer and kidney failure … but she made it to 19 years old, and not for a single day do I regret paying the money and putting her through that flight for 9 hours just to make sure that she had the life that she deserved and I knew that I could give her. People say that cats are not like dogs and are more than happy to be re-homed with a different family so long as they are cared for and fed. I would disagree with this. Some of the exotic breeds actually pine for and turn aggressive when their owners have passed away, as they can’t deal with the separation. I am sure that airline travel is daunting for an animal, but it was definitely a better option than to re-home her or have her put to sleep at a kill shelter because nobody would take her. I paid thousands of $ over here in the last 12 months of her life to make her as comfortable as possible until the end … I don’t know that an adopting family would have gone to the expense and care that I did with her. I had to help wash her and carry her up and down stairs towards the end. That 1/2 day flight was worth it for me. Blogger Laurie Borman asked Continental Airlines to talk us through a typical trip of one checked pet ( a dog – sorry ;-)) as it travels from Houston to Newark. But first the airline talks through the preparation the pet owner needs to do. Buy an approved kennel for your pet. All airlines and the DOT require that kennels be big enough for the animal to stand, sit, turn around, and lie down without restriction. Some airlines disallow the kind that fold flat, so check before buying a crate. The kennel must also have two bowls that attach to the inside of the kennel. These will be used to supply water to your animal if needed during flight. Leave the kennel, with the door open, in a busy area of your home and get the animal used to being in it, suggests Schoppa. Visit your vet. This is the time to get the updated rabies certification and a Certificate of Veterinary Inspection, as well as updates or refills on any medications the animal might need. Microchipping your pet is also required. Give your pet a nice, carb-heavy meal and plenty of water. Consider sleeping in an old t-shirt, which you can then place in the pet’s crate for the flight. Your scent helps calm the animal. The AVMA recommends only newspaper or thin material be placed on the kennel floor. The Pet Travel web site have also listed some good pointers. 5:30 a.m. Buddy wakes up, goes for a walk and eagerly climbs in the car for a trip to the airport. 6:00 a.m. You give Buddy one last walk around outside before heading into the cargo facility at Houston. Each city and airline has a different spot, so check with your carrier about where you are supposed to take your pet. 6:15 a.m. Continental Airlines’ PetSafe program representative greets Buddy at the counter. Buddy is regretting that big carb load he had yesterday, because now he has to step on a scale to get weighed. The rep also pets and talks to Buddy, checks out his crate and makes sure he looks ready to travel. The pet treats you’ve brought for Buddy in a plastic bag, along with his leash and collar, are taped to the top of the crate. Next up is completion of the USDA paperwork and checking the Certificate of Veterinary Inspection. The crate is sent through the X-ray machine, but not Buddy. According to Sarah Horowitz, spokesperson for the Transportation Security Administration, TSA officers “will conduct both a visual inspection and screen for explosives while the pet owner is present.” At this point, you will give Buddy a hug and head off to go through security while Buddy gets ready for his flight. 6:45 a.m. The PetSafe agent finishes up the paperwork, affixes live animal labels and arrows on the crate so it is always in the proper position. Plastic zip ties get secured on the crate to ensure the door doesn’t fly open accidentally. 7:15 a.m. Buddy stands in his crate in a lighted, heated and air-conditioned cargo holding area, waiting for passengers to board the plane. He’s a little nervous since this is his first flight, and he’s whimpering. Several other crates sit nearby, some with pets and some with commercial shippers’ animals. Continental’s pet area is climate controlled, but other airlines require a written statement from your vet that includes what temperature your dog is acclimated to. Airlines restrict shipping animals if the temperature is higher than 85 degrees or if it is below 45 degrees. 8:35 a.m. All luggage has been loaded on the aircraft; passengers are settling into their seats and getting buckled in. Buddy’s PetSafe van driver loads his crate and the others for the flight into the van and heads off to the plane. Continental has PetSafe vans in 14 markets. The vans are all climate controlled and allow agents to wait plane-side with the animals for the last five to 10 minutes, with the heater or air-conditioning running. 8:40 a.m. The kennel is strapped to a special section (front or back) of the plane, apart from the other luggage. Animals are loaded last on the aircraft, and a curtain separates them from other cargo. There are no lights on in this portion of the plane, but the temperature is maintained at the same level as the cabin where you are seated, and it is pressurized, as required by the federal Animal Welfare Act. “They are very well protected,” says Schoppa. 1:15 p.m. You flight arrives in Newark, and before the door opens for the passengers, Buddy is being unbuckled and is the first thing taken off the plane. 1:25 p.m. Buddy’s crate is loaded into a PetSafe van and driven off to the animal holding area. PetSafe agents check in on pets to be sure they are comfortable, even offering ice chips, before putting his crate in the secure waiting area for you. 1:45 p.m. You exit security and head over to the cargo area to pick up your pooch. He is ready and waiting, and he starts barking and wagging his tail as soon as he hears your voice. It was a good flight. Thank god Ryan Air do not allow pets to travel! 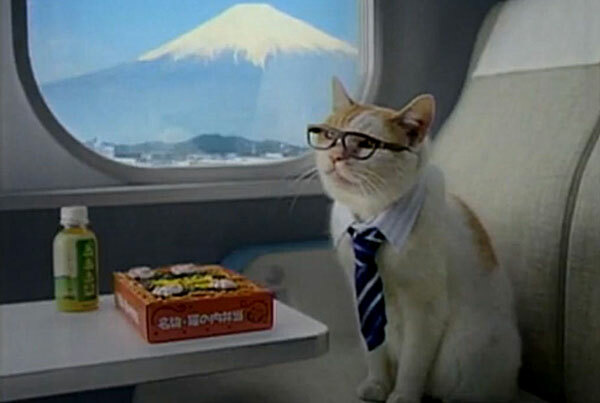 I hope cat travel in cargo information has been helpful. Please click on all links below which should cover everything you need to know about traveling with your cat in cargo or on the flight. 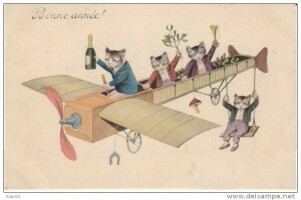 Happy safe travels for you and your cat.